Okay, if you haven’t quite honed your kitchen skills yet but you still need a recipe to impress, this is the recipe for you! This recipe is super easy and pretty much fool proof. 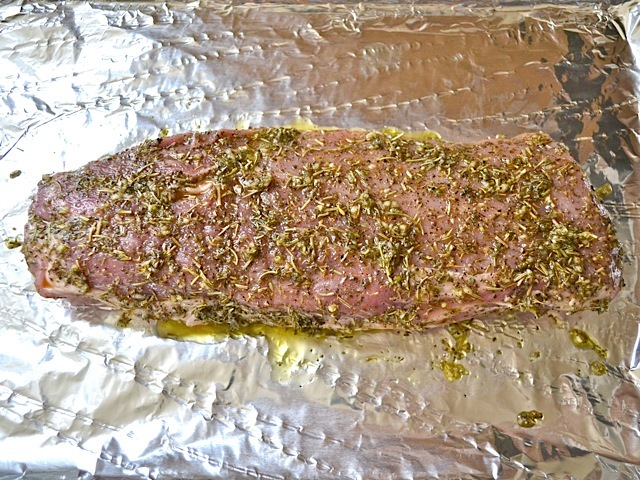 Just mix up some herbs and oil, smear it on the pork, and throw it in the oven. The end. 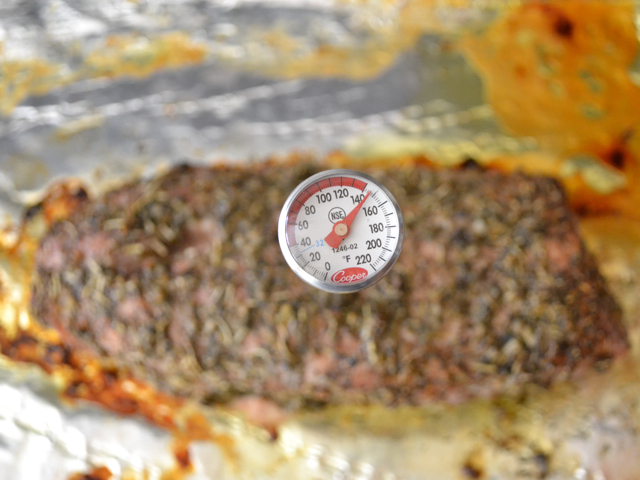 You probably want to get a meat thermometer to make sure it’s cooked through, but other than that, you’re home free. 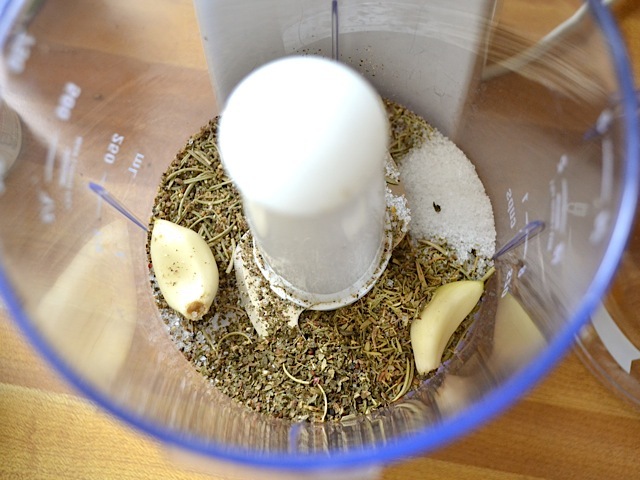 This is a basic herb rub that can be applied any number of meats. 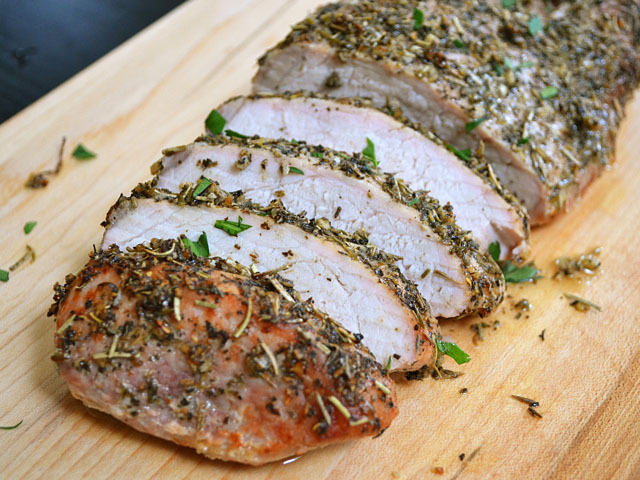 If you’re not into pork, try chicken breasts or even a beef roast. 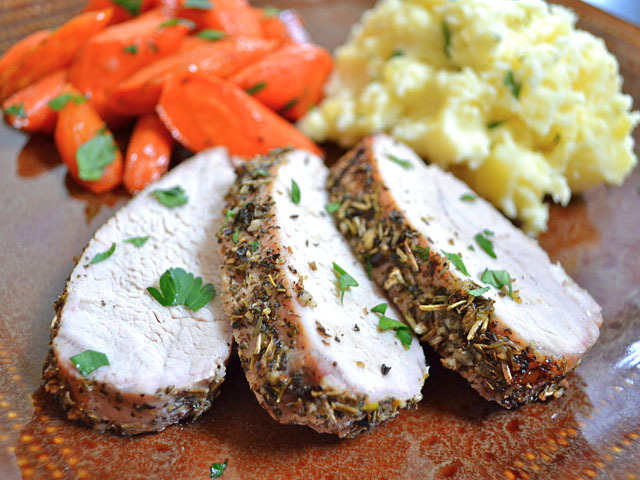 It’s simple yet oh so flavorful! Preheat the oven to 425 degrees. Combine the garlic, basil, thyme, rosemary, fresh cracked pepper, and salt in a small food processor, blender, or clean spice grinder. Pulse until the garlic is minced. In lieu of an appliance, the garlic can be minced by hand and the rosemary roughly chopped with a knife and then combined with the rest of the herbs and spices. 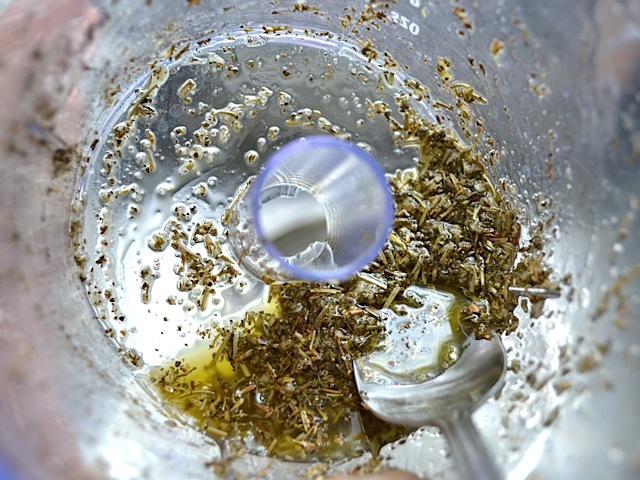 Add 2 Tbsp of olive oil to the herb mixture. 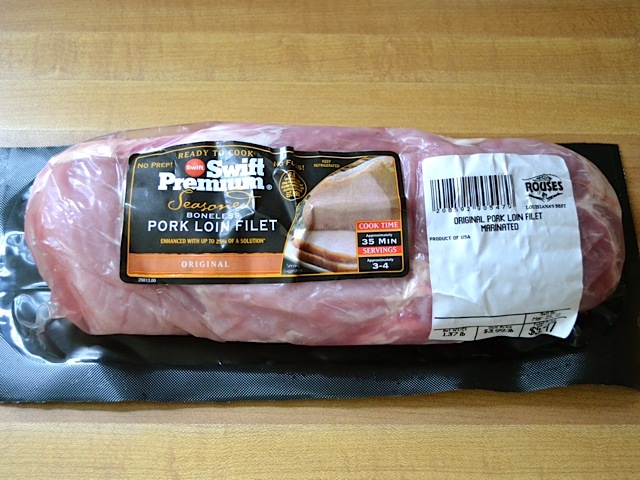 Place the pork loin on a baking sheet covered with foil. Rub the oil and herb mix over the entire surface of the pork (including underneath).